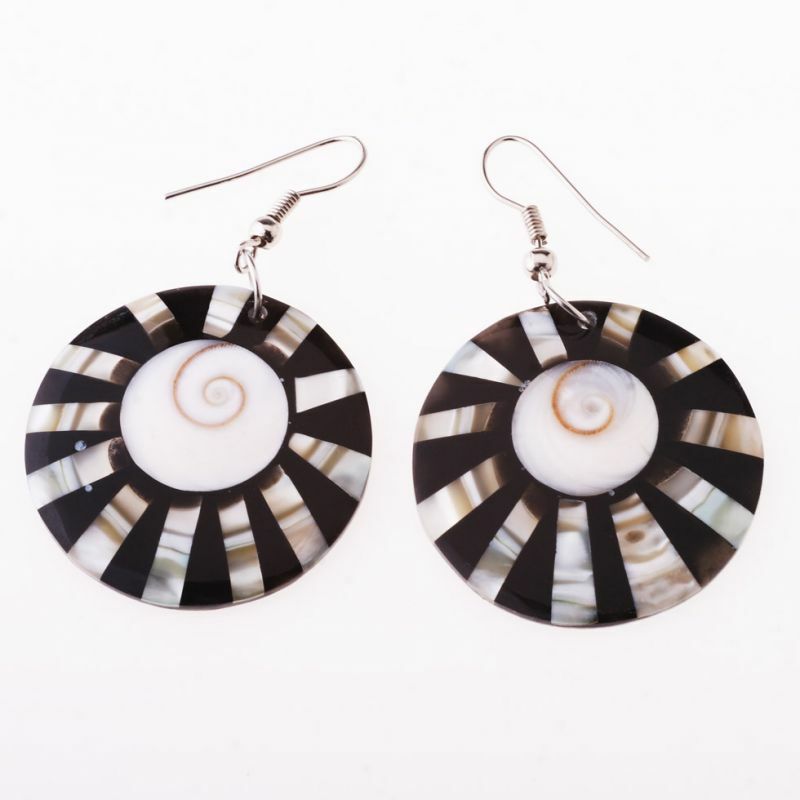 Earrings made of shell and resin. Diameter: cm. Origin: Indonesia.